In the summer of 2017, Indian and Chinese troops found themselves face-to-face in their most intense border dispute since the 1960s. The standoff was triggered by Chinese road construction into the contested territory of Bhutan’s Doklam Plateau—a southward incursion that India deemed unacceptable. The hostilities had little to do with the barren plateau, per se. The concern instead was what it overlooked: the Siliguri Corridor (or “Chicken Neck”), a precarious sliver of territory connecting India’s “mainland” to its northeast. Military strategists long have feared a Chinese takeover of the corridor—a lethal strike that would sever India in two and instantly re-align the geopolitics of much of Asia. So when Chinese bulldozers moved into Doklam on June 16, India detected something dangerous moving toward this critical chokepoint. Tensions quickly mounted. The crisis highlighted the geopolitical stakes of India’s Chicken Neck—a vulnerability matched only by its vitality. The corridor funnels myriad goods and bodies between India, Nepal, Bhutan, Bangladesh, China, and onward to Myanmar and Southeast Asia. Oil pipelines, rail lines, military convoys, humanitarian aid, trucks, smugglers, and scores of people all compete for passage through this congested artery. With overland transport to India’s northeast and Southeast Asia routing through the corridor, Prime Minister Narendra Modi’s Look/Act East economic policy has focused expressly on speeding up movement through the chokepoint (by building new highways) and/or bypassing it altogether (by developing alternative land and sea routes). For now, the Siliguri Corridor remains a burr in Modi’s dreams of a seamless logistical future. Geopolitical and economic designs notwithstanding, efforts to control this site meet with considerable difficulty. In this congested space, the techno-formal domains of security and modern logistics (Cowen 2014) converge, interpenetrate, and blur with a range of informal, often-illicit, mechanisms of passage. For every documented migrant crossing the corridor’s multiple borders, there are countless undocumented, untraced others. For every sealed cargo container, there’s an overloaded truck groaning its way through the chokepoint with loads unknown, its passage preemptively bought through special, off-the-record “truckers’ cards” guaranteeing no hassle from local inspectors. For every border post, every police checkpoint, every inspection station, there’s a racket to circumvent it and allow vehicles, people, and the goods they carry safe, easy passage. The corridor’s frenetic traffic puts tremendous strain on local infrastructure, not to mention those tasked with securing and regulating this unruly space. Along with licit actors, the Chicken Neck attracts insurgents, human traffickers, and smugglers, who similarly depend on passage through the chokepoint yet can strategically hide amid its overwhelming traffic. Amid these cat-and-mouse interplays of circulation and regulation, in/detectability has emerged as a distinctive problem—and art—of chokepoint life. How do regulators—specifically, customs agents and anti-human traffickers—manage the challenges of in/detectability in their everyday work? This inquiry invites exploration of an inherent paradox: the imperative of circulation through chokepoints categorically hinders the possibility of their securitization and regulation. In practice, the geopolitical impulse to control chokepoints frequently stands at odds with economic desires to maximize flow through them. This paradox is acute especially in chaotic chokepoints like the Siliguri Corridor, where bewildering traffic affords convenient cover for getting things and people through—undetected. The threshold of detectability—to borrow a forensic term from Eyal Weizman (2017)—therein figures as both a regulatory-security challenge and a source of imminent possibility for licit and illicit actors. At India’s Chicken Neck, indeed, it is a threshold where lives and livelihoods are made on a daily basis. To understand in/detectability’s generative capacities, one must reckon with the corridor’s peculiar character. At roughly a hundred miles long and less than twenty miles across at its narrowest, this is a relatively large chokepoint, crisscrossed by multiple forms of transit (including rails, roads, and footpaths). Movement through the corridor isn’t the steady procession of ships crossing Panama, but a helter-skelter of vectors moving domestically through and internationally across the chokepoint. The volume and congestion is stunning. A Deputy Commissioner of Police quoted to me a recent traffic study reporting that between 20,000 and 25,000 vehicles ply the busiest intersections in a single hour. Complicating matters further is the fact that in the middle of the corridor sits the city of Siliguri, a rapidly expanding metropolitan area of more than one million residents, plus what some officials estimate as hundreds of thousands passing through daily. As one can imagine, these conditions profoundly structure the forms of circulation, regulation, and in/detectability that inhere this site—along with the prospects of those who work it. The Central Excise, Customs and Service Tax Commissionerate monitors the movement and taxation of goods traversing the corridor. Along with roaming patrol units and intelligence wings, Customs operates checkpoints at the corridor’s border crossings, where agents inspect trucks, vehicles, and foot traffic for illegal cargo. It is tedious, boring work. 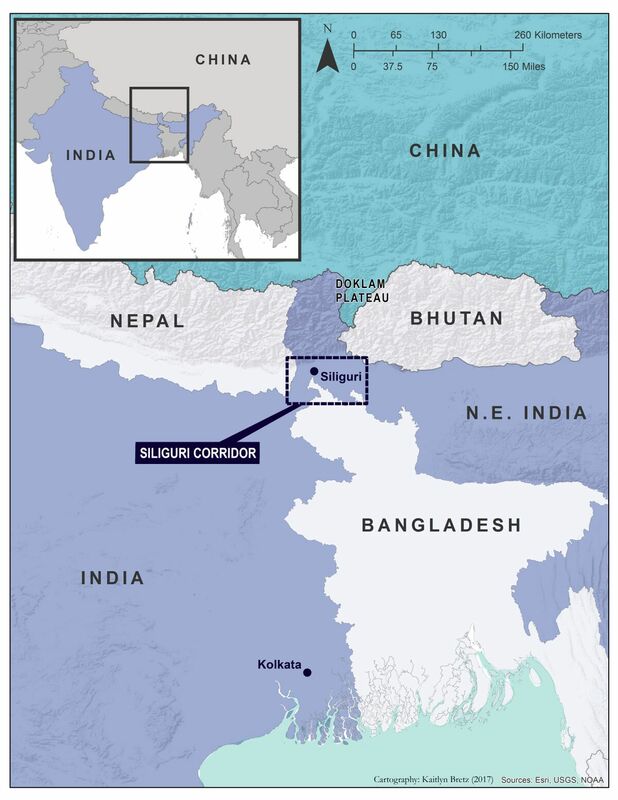 Figure 2 depicts a sealed Chinese container that has passed via the port of Kolkata through the corridor to Nepal’s border. Courtesy of the logistics revolution (Cowen 2014), this sealed container effectively has never set foot on Indian territory. With its seal unbroken, the contents—whatever they were—were not Indian Custom’s problem. So they let it pass. Other trucks pose more difficulty. 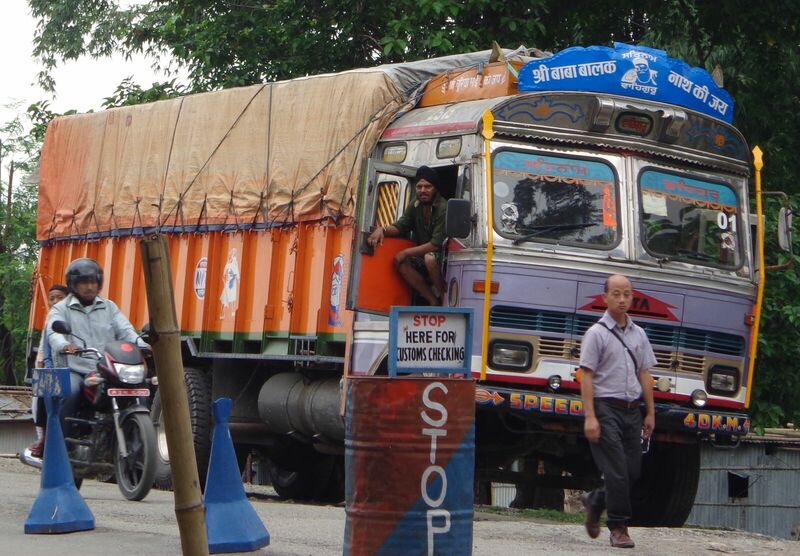 Open-topped lorries like those in Figure 3 carry goods of all kinds across India. What’s in the back of these colorful behemoths is anyone’s guess. Customs agents occasionally climb aboard and scoop a handful of material for “scientific” sample, but they readily admit that anything could be buried deeper in the lorries’ hold. AK-47s, drugs, and gold frequently are mentioned as possibilities. My customs friends talked of X-ray technology coming to the corridor, but none has arrived. They further conceded that their checkpost could be circumvented simply by walking across the border up-river. Once in the corridor, smuggled goods and people essentially vanish in its erratic traffic. Amid these conditions, customs agents readily admit the impossibility of regulating the corridor. Taking an “if you can’t beat them, join them” approach, Customs now has redefined its duty as “facilitating trade.” “The time of inspecting trucks is passed,” the Chief of Customs confessed. “We only inspect the trucks we have to.” This regulatory shift prompts an alternate reading of the boring border work mentioned earlier. Performing truck inspections figures as just that: a performance of modern statecraft—particularly now as Customs and India have re-aligned with that sublime object of neoliberalism: circulation. Not all regulators can afford such abdication. Just down the road, an anti-human trafficking booth has its sights trained on a different form of circulation. 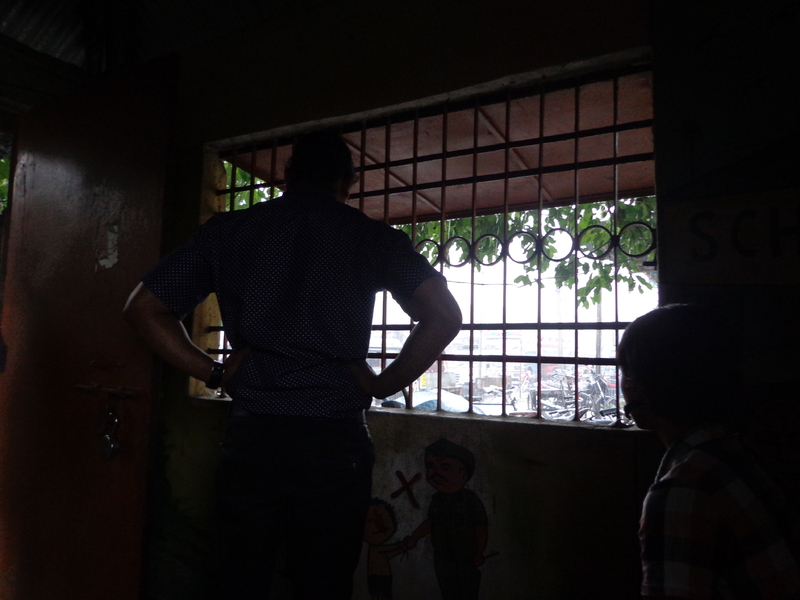 Every day, from 7 a.m. to 10 p.m., NGO workers stare out from barred windows evaluating the thousands of children, adolescents, and young women passing into the corridor. Like Customs agents, their job is fraught. But making interventions here, at the entranceways of the corridor, is vital. If victims reach the bus depots, train stations, and safe houses of Siliguri, it will be too late. Extending the chicken-neck metaphor, one anti-trafficker described these spaces as “mouths” that fed into the neck, where victims would be swallowed whole, digested, and processed. Similar to the Doklam Plateau crisis (in which India mobilized to stop the Chinese before they got anywhere near the corridor), Customs agents, police, border-security forces, and immigration officers echo this logic. If regulation is to happen, it must happen at the chokepoint’s deltas or “mouths.” Once in the snarling traffic of Siliguri, the chokepoint’s urban, spatial character provides impenetrable cover for those moving people and things through the corridor. The prospects of in/detectability are tied equally to the temporality of chokepoints. Corridor traffic moves in staccato-like fits, blockages, surges, and chokepoints within chokepoints. For truckers, this start-stop movement can be maddening. For smugglers, it’s operative. For regulators, it’s crippling. Amid these fits and starts, ascertaining who belongs, who’s passing through, who’s hopping borders, and who’s holing up is virtually impossible. 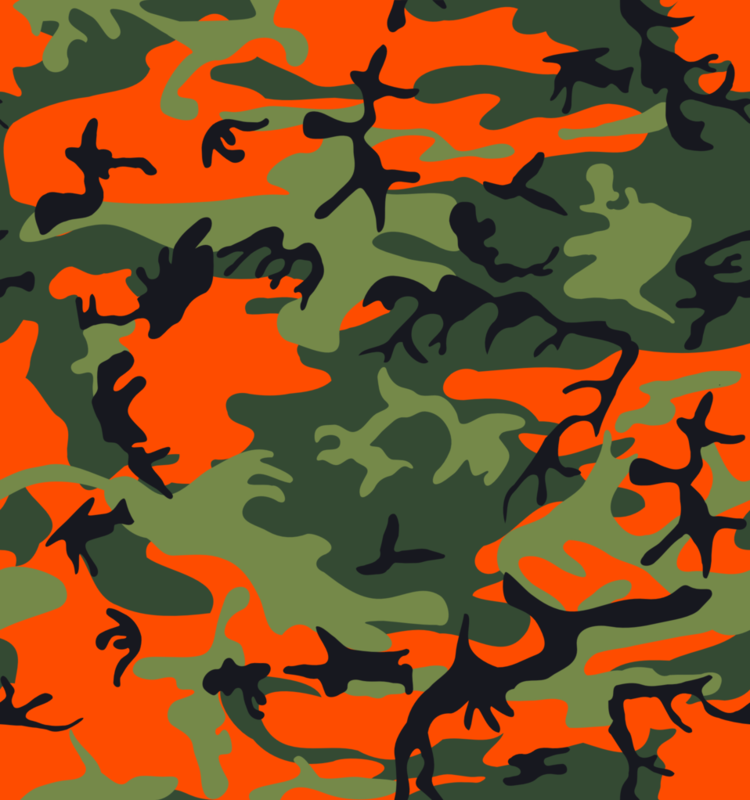 This irregular pacing reflects the temporal quality of the hiding at hand—a camouflage in movement itself. To provide a participatory example: We’re on the platform at Siliguri’s NJP station, a critical node of human trafficking. Several trains have just arrived, and I am hurriedly in pursuit of Nikhil and Suresh—two NGO workers I am shadowing for the day. We have exactly twenty minutes to walk these trains, searching for victims. Pushing through the crush of passengers, hawkers, janitors, and security, Nikhil and Suresh sometimes stop to interrogate suspicious “families” through the windows. Sometimes they navigate the train’s cramped interiors, surveilling for something amiss: a child that doesn’t look like his parents, young women travelling alone, etc. They are making thousands of snap judgements, each of which could change a life. Thus we carry on, clambering from car to car, evaluating face after face—looking for what, I don’t know. We barely finish the second train before the whistle blows and it chugs out of the station, leaving us on the platform, our shirts soaked in sweat, with nothing to show. It’s been days without a rescue. In these cat-and-mouse dynamics, pace matters. One might have a better shot at sorting through the epistemological conundrums of traffic were one to stop the proverbial train for more than twenty minutes. Likewise, one could pull over every truck and inspect it “properly.” But that would defeat the corridor’s circulatory function. If chokepoints stop moving, there is no point. Therein lies the regulatory rub, and the fundamental condition of life in the transit zone. These paradoxes of circulation/regulation pose both difficulties and opportunities. At the threshold of in/detectability, the possibilities can be tempting. 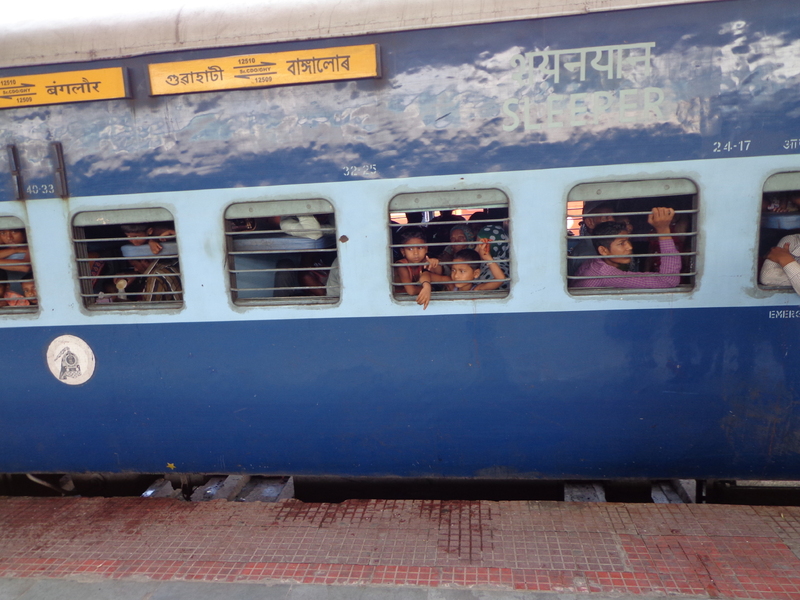 Several months after walking the trains, a scandal rocked Siliguri’s anti-trafficking community. Police uncovered an adoption racket in which Local District Child Protection Officers were using forged documents and their control of the system to route rescued orphans through children’s homes scattered across the corridor and into the custody of paying parents. Effectively, the racket short-circuited India’s legal adoption mechanisms by intentionally “losing” children in the corridor’s physical and documentational traffic. Doing so, this case of protectors-turned-traffickers cast the problem of in/detectability anew—namely, by undermining the very subject-object relationship upon which detectability is predicated. This is hardly the only example of regulators becoming circulators. One afternoon, when sitting in a truck-yard dhaba (restaurant), I asked a trucker about the difficulties of getting his rig through Siliguri, and in particular how the corridor’s many checkpoints impeded his work. Devouring his lunch, he brushed aside my question, casually mentioning that he had a “card” to deal with pesky inspectors. This piqued my curiosity. The “card” is something like a trucker’s get-out-of-jail-free pass. 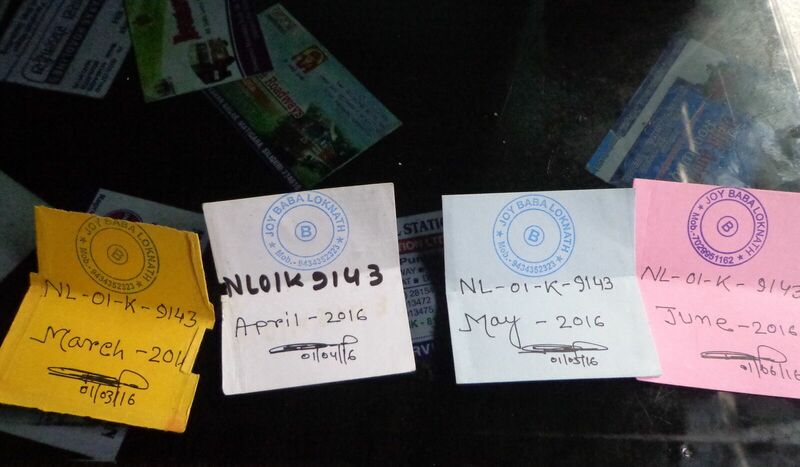 It’s part of a massive racket involving police, vehicle inspectors, customs officers, and others, which allows truckers to preemptively bribe their way through various jurisdictions of the “inspector Raj.” Here’s how it works: You purchase a card, good for one month, from a local broker. When you get pulled over, you show the card. Maybe a phone call is made, maybe not, and you’re free to go. No papers? No problem. Your load overweight? No problem. Intrigued by this racket, I decided to get one of these cards. One shady contact led to another and what I got was a blank business card, with a scribbled contact and a nearly illegible date. At first, I thought I had been had. That is, until other truckers showed me their cards. Equally unimpressive. The “card” tell us something important about chokepoints and in/detectability. At one level, it’s a simple business card, bearing a name and number to get you moving when the proverbial Man tries to slow your roll. At another level, this humble piece of cardboard testifies to the operative bleeds of circulation and regulation that shape life and livelihoods in these transit zones. Understood as an artifact of a deeper set of spatial, temporal, and socio-political relations, this is how chokepoints like the Chicken Neck work—and, ultimately, how people work them. It’s worth noting that similar cards may be found on other stretches of road. And such rackets, involving the precious and pernicious among us, in other domains of life. Yet—as sites of heightened vulnerability, vitality, and possibility—chokepoints amplify opportunities that might otherwise go unexplored, and make visible dynamics that might otherwise go unseen. In/detectability consequently figures as a problem—and art—of not only chokepoint life but also the understanding thereof. Engaged accordingly, chokepoints like the Chicken Neck offer sites—and thresholds—then for rethinking circulation, regulation, and related dynamics in other, less notable, spaces of contemporary life. Weizman, Eyal. 2017. Forensic Architecture: Violence at the Threshold of Detectability. Cambridge, MA: MIT Press.